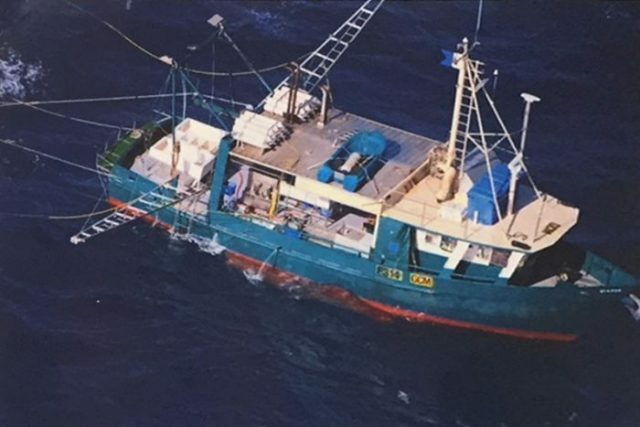 On October 16, the 17 meter long fishing vessel Dianne capsized in Bustard Bay near Seventeen Seventy, Queensland, Australia. The trawler had capsized in bad weather during the night with the master at the helm and six crew asleep below. One crewman was able escape from the overturn vessel and clung to the hull for several hours before the Dianne sank. A passing yacht spotted him in the water and rescued him. Reports state that several other crew had survived the capsizing and could be heard tapping inside the hull before the vessel sank. Authorities have launched a search and rescue in the surrounding area, but weather conditions has slowed the effort. The six crew were still reported as missing.